Employee Benefits Consultant Philadelphia: What Are You Missing? 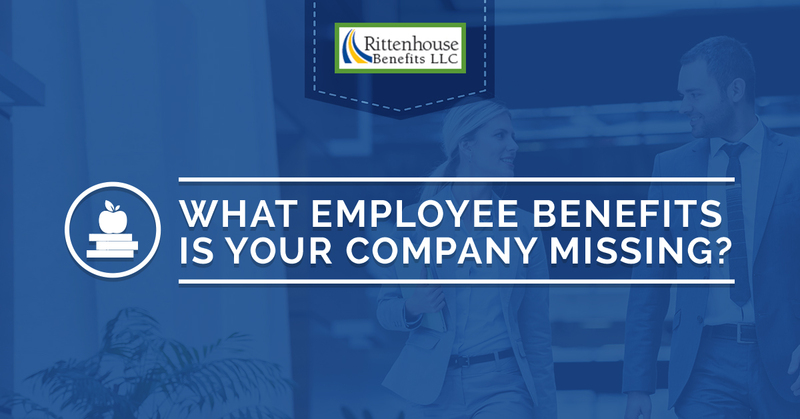 What Employee Benefits is Your Company Missing? The salary that you offer for a job is just the beginning of a full compensation package. A savvy prospective job-seeker will know to look at the other pieces of the compensation puzzle, including (and especially) what kind of benefits you are offering. Is your company offering all of the benefits that it should be? Are there some that you should include in your compensation package but aren’t? 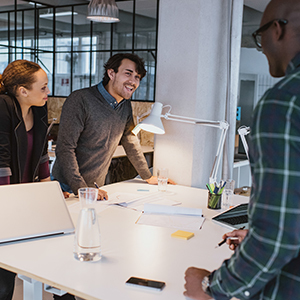 You might think you have the bases covered, but it’s important to keep up with what job seekers are looking for when it comes to perks and benefits and what other companies like yours are offering. This can help prevent great prospective employees from going to work for your competitors. A lot of the perks and benefits that employees want from a business won’t even cost you that much; you can keep other costs low with the help of our employee benefits consultant in Philadelphia. Here is our list of the most popular and most in-demand benefits that your company should consider offering. Keep in mind that your business, depending on its size and location, could be legally required to offer some of these benefits. It’s important to work with an experienced HR consultant to ensure you are offering the benefits you are required to as well as additional ones that can attract more top talent to your business. Are You Offering These In-Demand Benefits in Your Compensation Packages? This is the big one. While many companies are now required to offer some kind of medical coverage, the benefits of the coverage can vary greatly from the great to the awful. Prospective employees are going to pay close attention to the medical benefits that you offer; not only is it a hot topic in today’s politics, it’s a genuine growing concern for families who are trying to manage medical costs. Rittenhouse Benefits, LLC can help you find a great plan that doesn’t allow you own expenses to spiral out of control. While medical insurance might be a must-have for your business, vision and dental insurance are almost certainly not. But it’s a big benefit that employees love. Adding these two to your employee compensation package probably won’t add a lot of expense to your overhead and they can help families cover the expense of glasses, contacts, and braces. If you have a lot of employees with young children, it’s something that can make a big difference in their own bottom line. Flexible Spending Accounts, or FSAs, have grown in popularity as the cost of medical care has increased. These pre-tax accounts can be used by your employees to pay for medical expenses; the money can be used for anything from glasses to prescription medication to doctor’s visits and more. Employees will designate an amount they wish to save, then a portion of it will be taken (pre-tax) from their paycheck and deposited into the account. It’s a great way to lower expenses for the employee with little administrative costs to the company. Fewer and fewer people are saving money for retirement, but they know that they should be. If a prospective employee sees that your company offers a great 401(k) or another retirement plan, it can really increase your company’s appeal. This can be even more attractive to a slightly older demographic who may be trying to build up their retirement account quickly in their remaining years, but it’s also attractive to more forward-thinking employees fresh out of school. More emphasis is being placed on attaining work/life balance, and paid time off plays a big role in this. People want to be able to take vacations with their families as well as ensure they have some additional sick days for themselves and to care for ill members of their family. Two weeks paid time off is the absolutely minimum these days; most companies are now offering four or even five weeks of paid time off, often dependant on how long the employee has been with the company. While this could be lumped in with paid time off, it’s really a benefit unto itself. The United States is one of the last industrialized nations in the world that doesn’t offer mandatory paid maternity leave. A lot of big companies are taking the matter into their own hands and offering this as a benefit to their employees. Netflix offers a full year of paid maternity and paternity leave for new parents, while Facebook offers four months of leave to both moms and dads. It’s probably only a matter of time before these parental leave policies become more of the norm, so it’s worth looking at your own company’s policy and see if it’s time to update it. Employees are eager to develop their skills. Employers should encourage this; not only does it bring more skills to your business, it fosters more employee loyalty in the process. Paying for skill development can have a huge return on your investment for a company. Sure, there is a chance the employee is going to take their skills and go elsewhere, but you run that risk every day, so it’s not one that could keep you up at night. Paying for classes, seminars, and other learning tools can be a huge perk for employees that’s also a perk for the employer. Offering benefits that align with your company’s goals and culture are a big draw, as well. For instance, Disney employees get free admission for themselves as well as their family and friends to the theme parks and REI offers two paid days off a year for employees to go enjoy their favorite outdoor activity. What are the potential perks that your business could be offering as a part of building your company culture and appeal? Need More Help Finding the Right Benefits for Your Compensation Package? Rittenhouse Benefits, LLC is here to help you. We can help you find the right benefits for your company without sending your costs soaring. We offer a number of services that can help. Start with a free consultation with our team to learn more about what we do. You can schedule this consultation by giving us a call or contacting us through our website to get started.